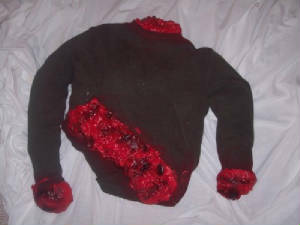 Hand made gory and bloody torso props!!! Hi and thanks for checking out our website!!!!! 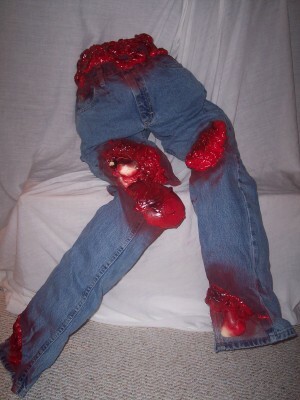 This page is dedicated to the bloody body parts you see pictured. They are hand made of nontoxic materials and are weather resistant. As you can see they are torsos that have been removed from the rest of their bodies complete with (plastic) bones. 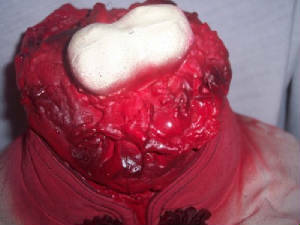 These props have blood and ripped flesh oozing from all openings on lower torsos where feet once were on upper torsos, where hands once were. 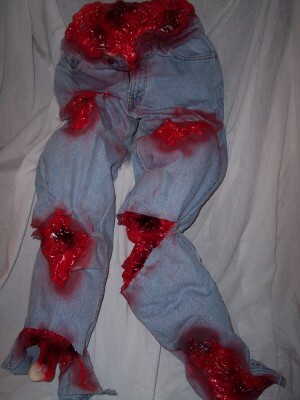 The lower ones have really nasty lacerations on the thighs and one severed leg (leg is hanging by the pant seam) or in the case of the upper torsos, hands will be severed. 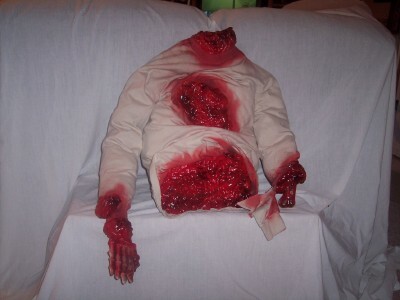 These life-size are perfect for your Halloween party, haunted house or backyard haunt!!! 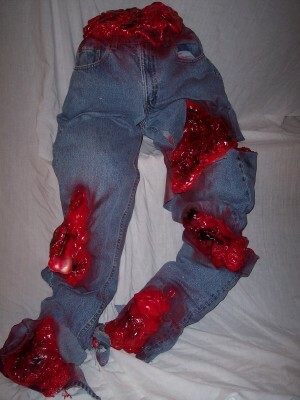 Really realistic and disgusting in any light!!! Truly frightening in the dark!!! 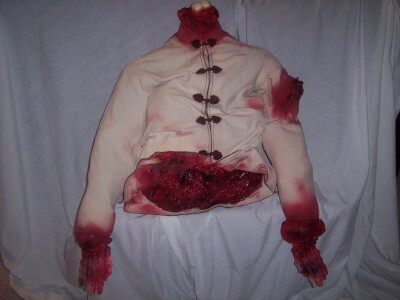 To gory for my taste but everyone else seems to like them! Please contact us if you would like a price quote or have questions. Thanks you and have a good day!